Over the next two years, students will see at least three new options become available through the faculty of arts. 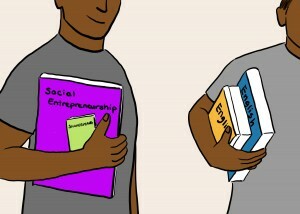 The options – which fall between a major and a minor – act as specializations in emerging fields and will appear on a student’s transcript and degree. The proposal for the social entrepreneurship option was officially approved at senate on March 3, setting the launch in motion for fall 2014. Though offered by the faculty of arts, the option is open to all Laurier honours students. However, it is being specifically targeted to first and second-year students as the program is designed with four years worth of mandatory courses. According to Desjardins, social entrepreneurship is a growing field in many universities across North America and Europe. Most of these programs, however, are being run out of business schools. This makes Laurier’s program the first in Canada grounded in the liberal arts. Moving forward, the department of global studies, which is hosting the option, will be looking to hire a new faculty member to drive the program. As well, their next step is to get the word out to students. “Our challenge now is to get the message out to first and second-year students particularly and then to design a plan where we can reach out to high schools and start making people aware that this is available here at Laurier,” said Desjardins. Desjardins explained that it’s their goal to eventually have social entrepreneurship be university-wide. The digital humanities option is the third specialization the faculty of arts is looking to bring to students. Though it has yet to be approved as an option, a digital humanities course will be offered next year. David Smith, assistant professor of history, explained the premise around digital humanities. They are hoping to have the option approved next year so it can be officially offered come fall 2015. 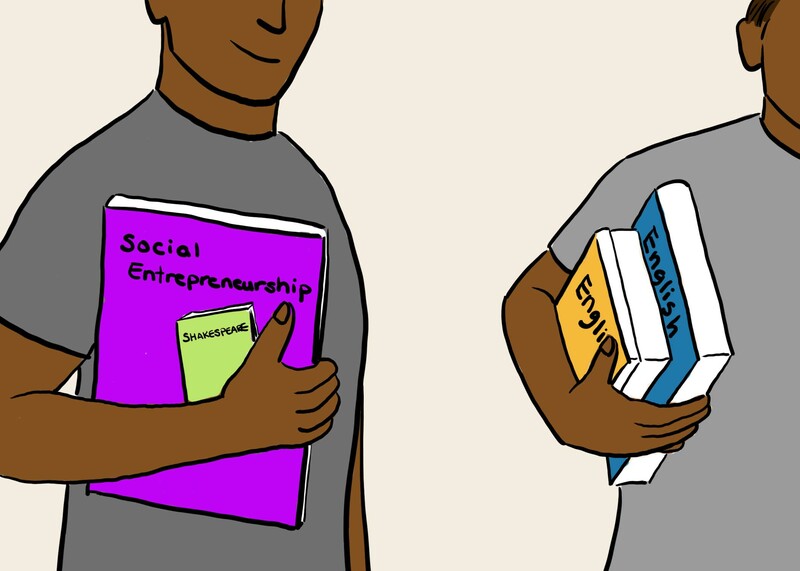 Like social entrepreneurship, it’s being targeted at first and second-year students. Smith outlined several reasons for the development of the option at Laurier, one being that faculty members are already engaged in research areas involving the digital humanities. It’s also a growing trend worldwide. Both Desjardins and Smith addressed the reason for the push by the faculty toward options. Part of this, according to Desjardins, is that professors are recognizing a need for more engaged learning. This, Desjardins continued, could take two to three years. An option can be developed more quickly. The third reason is that they are recognizing that students are coming into the arts program with concerns about employability from their degree.